Email marketing has a valuable and distinct edge over other forms of online marketing. First off, it is mainly important because every person in an email list receives the mail and is bound to pay attention to it. Secondly, email is necessary for business. People usually check their social media accounts for specific times during the day, but everyone checks their email multiple times every day. An organic email list means that the list has been cultivated using the right channels, without any money involved. There are many ways of increasing email list subscribers, but the most effective are those, which make it easy to subscribe. When the signup process is simple and easy, subscribers can join in without hassle. As a marketer, you should always be on a lookout for new people to add to your email lists. One of the worst things that you can do to your business is to buy an email list. Email IDs are the currency of the digital world and so, they need to be earned. HubSpot tells you why you should never buy an email list in this post. Organic lists are accumulated over time and are constantly updated, which means that every new contact is a fresh new opportunity for growth. 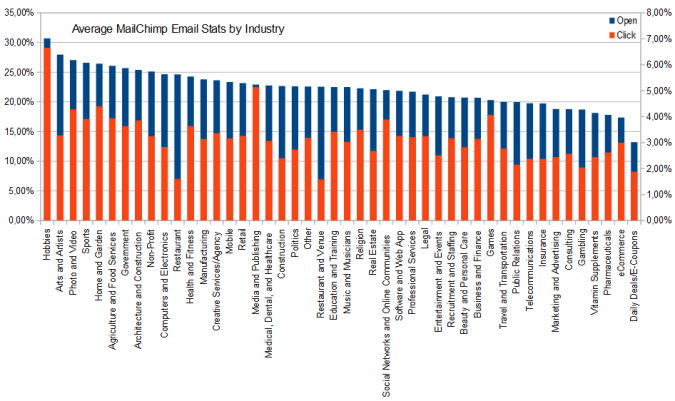 Email leads are far better than social media leads. Many websites don’t give importance to email signup forms in comparison to social media boxes. Those likes and follows are significant, but less so, when compared to your email list. Besides, social streams are different from email lists. You own and control an email list, whereas you have little to no control over social media. Facebook decides which content to display on the top and usually, a Twitter stream is overflowing with content that your Tweet can disappear within seconds. Derek Halpern, head of Social Triggers, places email subscription boxes in the header, right sidebar and below every blogpost. This prominent placement has tripled his email list in a few months. This strategy might seem like overkill, but it works. Make these boxes look prominent on your page, so that people can’t ignore them. Lightboxes or pop up boxes seem annoying, but they are not completely useless. It is better to have a few on your website, rather than not having signup boxes displayed at all. Offering newsletters or email communication isn’t enough for people to hand over their personal information anymore. To make them hand over their information, you need to offer something extra. You can do this easily by providing incentives. There is a wide range of incentives that you can offer, so make sure you choose wisely. Offer incentives which are the closest to your business type. For example, discounts are the easiest way to make people sign up to your lists, but for freelancers and agency audiences they are of no use. You can try offering a free consultation or report. Free eBooks, guides, samples, templates and webinars are also a great offering, because you can both educate your audience and promote your business. HubSpot has perfected this practice. It is not an uncommon practice for websites to channel their most useful content with the help of a signup form. If your piece of downloadable content is unique and extremely useful, customers will happily offer their personal information in exchange. Other forms of incentives can be promo codes and a 10% off on the first or next purchase. Rewarding subscribers early in the relationship can build a healthy bond from the beginning and ensure a long stay of subscribers in your mailing list. Well-constructed contests are the best way to attract and engage people. Contests may be held in many ways, but to make people subscribe, you can ask them to register for participation with their email addresses. Trivia, content submission or user voting require participants to submit content and they can easily sign up to the mailing list. Acknowledge their participation in the form of a thank-you email, along with a small prize. However, be vary of serial contest winners and the like, who enter their information just for the sake of winning. Many people host competitions on social media. Facebook is a good place to host competitions and sweepstakes. If you want to use other social media channels such as Twitter and Instagram to host photo competitions. To make it easier, contest softwares are available in the market which create, host and promote data from your competition. Although they may cost you a bit in the beginning, they will ensure that you run engaging and successful contests. 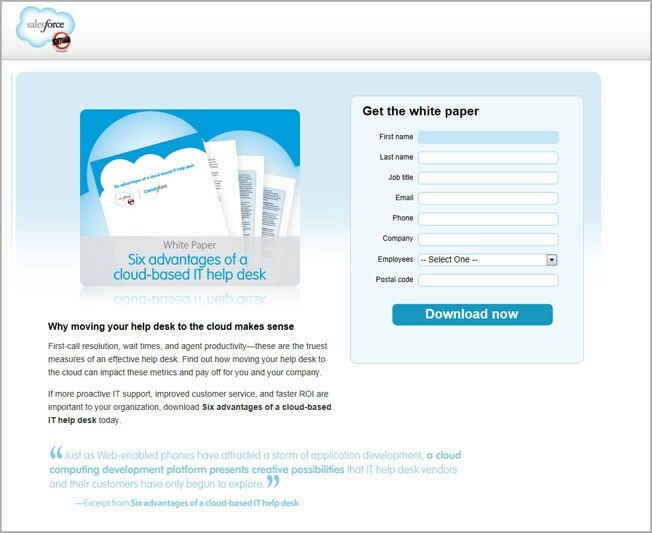 White papers are a concise guide on a topic to educate people. White papers are very efficient in B2B marketing, where people usually look for motivational ideas and solutions online. White papers are more complex than an eBook or a contest. To create a white paper, you need to analyze the page and the content with the largest number of views. If you run a marketing blog and your most popular posts are on keyword search, your White Paper should be about finding long-tail keywords that earn profits. After outlining, designing and writing your white paper, you can upload it to an email marketing software. Writing a good quality white paper takes a lot of skill and practice. You can polish your writing skills, but don’t forget to experiment-> launch-> improve. Pop-up boxes have created a lot of debate in the market. For a long time, people argued over how annoying they are and how unimpressive they seem as a marketing strategy. This is not because of pop-up boxes, but because of poor execution. They are thrown in front of a reader’s face, quite literally. The result is an angry or irritated user exiting the site. They also seem intrusive and spammy. Their timed pop up nature makes them seem more engaging than a static pop-up box. By the time they appear, the visitor has grown familiar with the site content and probably wants to engage further. Even with scroll triggered boxes, you need to be careful. Make sure that they are not displayed on every page, otherwise it will result in a high bounce rate. Facebook’s email signup option has been around for a while now. It is a good way to collect user data while they are actively engaging with you. You can also pay for a data capture form and link it with Facebook signup. It can provide you with the data a user has shared voluntarily with Facebook. Users voluntarily provide Facebook with their most credible details like age, gender, occupation and location. This method will save a user from filling a lengthy form and simply clicking ‘Sign in with Facebook’ will be enough. Data capture forms can also provide you with an option to capture even more specific information like friend lists, favorite books, music, movies etc. Many marketers concentrate their efforts in collecting email addresses online. Many don’t realize that the offline world also presents many opportunities to sign people up. Imagine all the people you meet in the real world. Many of these people can become your potential customers. Events, trade shows, seminars and meetups are the best ways to collect personal information from potential customers. You can always ask people for their business cards, but if you are setting up a stall at a trade show, you can bring an iPad and have them sign up directly via an online form. Some shows also allow stall owners to rent out scanners which can scan the attendees’ badges and receive their details. If you don’t want to go digital, you can always use the traditional fishbowl for collecting business cards or simply have people put down their contact information on a list. It is a nice way of collecting visitor information. Offering access to a preference center gives your subscriber the ability to edit their details and basic preferences like birthday, gender, occupation and the limit of emails they wish to receive in a week. A preference center allows your business an extra insight into your individual subscriber’s personal choices and interests. However, this option is relevant after the collection of basic details like names and email addresses. It is necessary for both data collection and ensuring that your subscribers get the best out of your emails. This special data is perfect for your targeted email campaigns, because every subscriber loves to get customized emails. Personalized emails can lead to big wins, when it comes to email marketing. Preference centers are also lifesavers when people click unsubscribe. It’s not that they don’t want to hear from you ever again, they may want less emails from you in their email inbox. When a person unsubscribes, redirect them to a preference center and offer them options where they can choose to stay. This will build a healthy relationship with your subscribers and enable you to fulfill their needs in a better way. Promising people that you won’t share their information with anyone is a good way of gaining their trust. This ensures brand value and overall image. Simply displaying a statement that you won’t use the subscriber’s details elsewhere is enough. Many marketers believe that social media is more effective than email lists. Some people debate that it is like comparing apples with oranges. What people need to understand is that every marketing tool varies from the other in execution and effectiveness. It all boils down to ROI. Whether you use social media or email marketing, it should give you leads and convert those leads into customers. Email marketing has proven to be more effective at this. However, to earn better results, place social media plugins in your email messages. Add an ‘email to a friend’ button as well, to encourage sharing of your email content. Social media sharing is an effective way of doubling the ROI. Email sharing makes it easy for a person to share important information with their friends and family. A subscribe button encourages people to join your mailing list. Make the process as simple and smooth as possible. Be honest and provide users what they expect in their inbox. 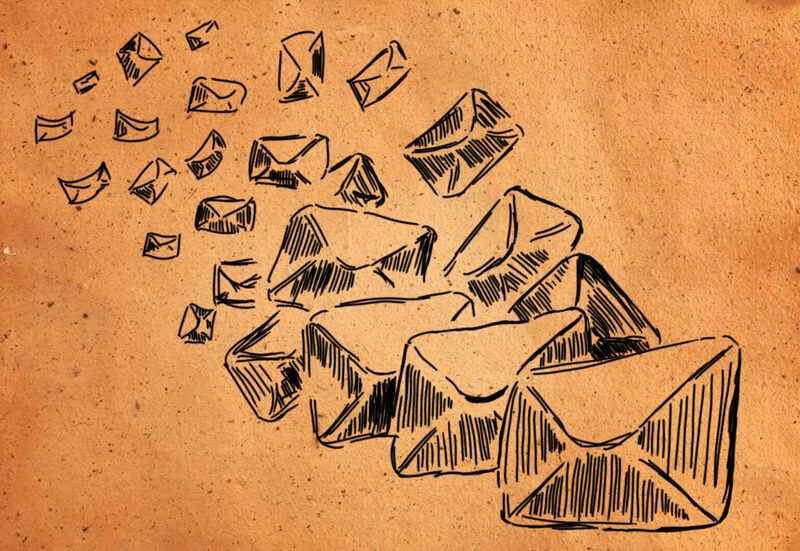 Follow these basic principles and see your email list grow organically.